Throughout the years, there remains one genre of gaming that was left lacking: Marble games. Too long have we waited for another opportunity to roll around as a perfect sphere. Thankfully, Marble It Up! not only fills that void, but it does so to near perfection. 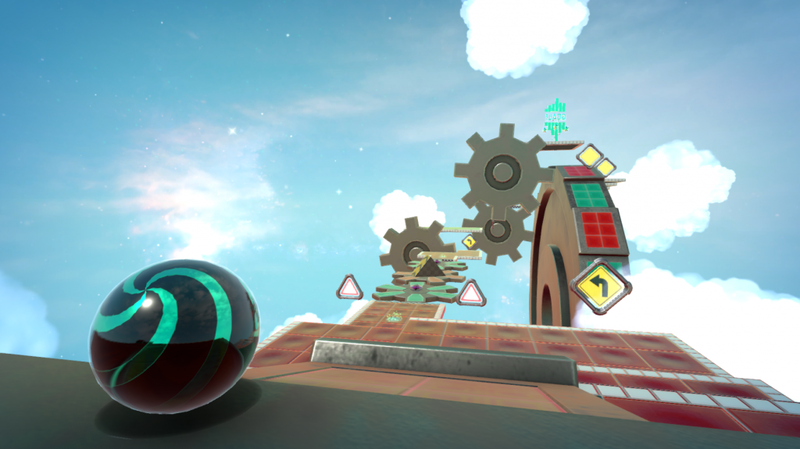 Marble It Up is a kinetic platformer for the Nintendo Switch. 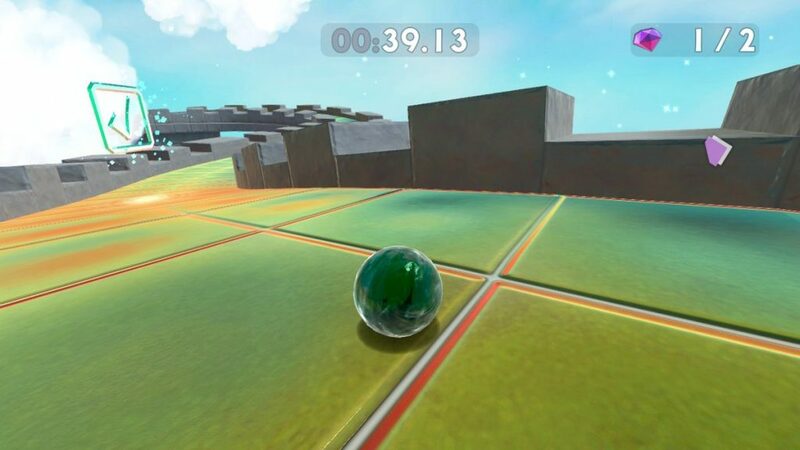 The player controls a marble through a 3D level with the goal of completing it in the shortest amount of time. One of the most popular examples of this is the Marble Blast games. But the last Marble Blast game was in 2006. 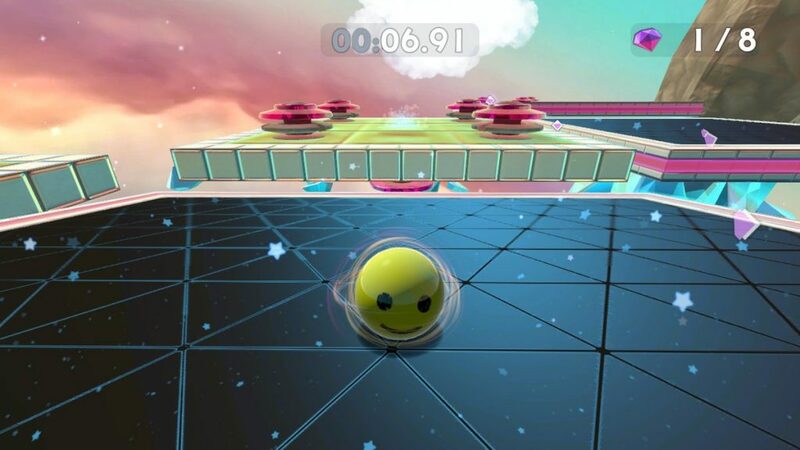 Marble It Up is considered the spiritual successor to these games, even including developers from the original team. 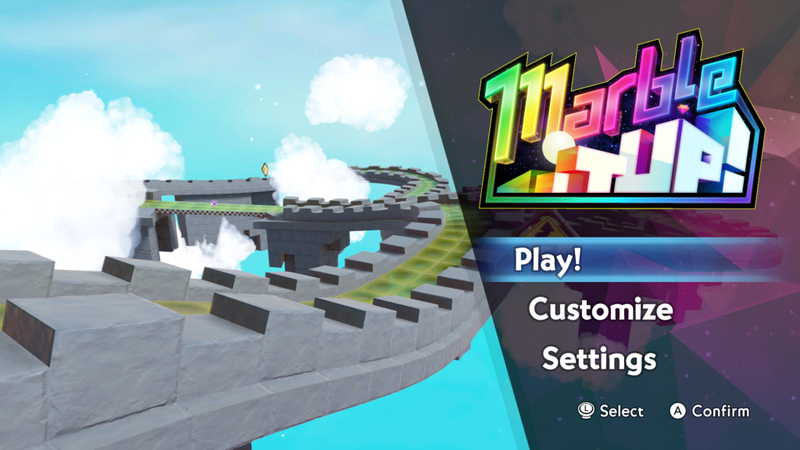 You’ll notice almost immediately that Marble It Up doesn’t make you wait. You can go from the Switch menu, into gameplay, in exactly 34 seconds (yes, I counted). As you progress, that general theme of instantaneous action remains prevalent. You can restart levels in a single button press, moving to the next level, one press. The entire user interface is intelligently designed to cause minimal fuss so that you can get right back into the action. But the interface isn’t the only aspect of the game that is tremendously responsive. The game as a whole just FEELS good. Anyone accustomed to a Super Monkey Ball game knows just how unruly and chaotic trying to maneuver a ball is, especially when the camera works against you. This is a never a problem in Marble It Up. The controls are tight and responsive, the camera is smooth and manageable, and the physical world you’re in remains reliably the same. Even when performing high-velocity actions, everything operated exactly the way I told it to. This was invaluable when striving for the Diamond score on a level. Pair that with a firm and stable 60 frames per second, and you have one tremendously buttery-smooth experience. What better to compliment good game feel than with an incredibly clever art direction? 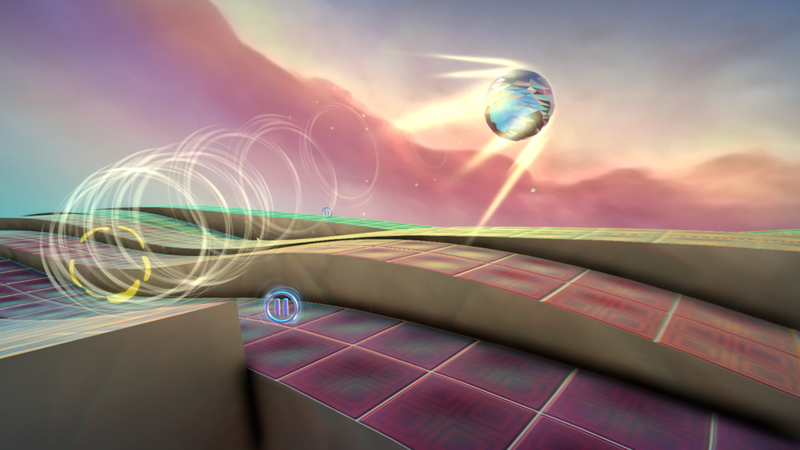 The game retains the familiar retro-techno stylings established in the Marble Blast days. Bright colors fade between each other to create a technicolor trip worthy of the EDM/Electronica style music playing as you go. This was reminiscent of other puzzle-esque games from the early 2000s, like Bejeweled. With dynamic visualizations and particle effects taking advantage of modern technology, the game looked fantastic in its own right, while still tickling that ever-popular nostalgia gland nested in the back of my head. So it feels good, looks good, and sounds good. Does it play well? There are four chapters available at launch, with ten levels available in each. The first chapter operates mostly as a tutorial experience. Each level and chapter is a gradual increase in difficulty and complexity than the ones before it. With each level having multiple ways to “succeed,” it satisfies those wanting an experience and those wanting a challenge at the same time. Each level has three goals, so to speak. You can beat the level, you can get the fastest time on a level, and you can find the secret skin hidden on the level. With no time “limit,” players can take as long as they’d like to get to the end. This is further assisted by checkpoints scattered throughout the longer levels, in case you fall off the map. If that doesn’t satisfy you, you can strive for the Gold, or even Diamond, times scores. These are awarded by completing the level under a designated time limit. While gold usually requires you to complete the level quickly with no mistakes, Diamond demands that the player practically break the game to get to the end. This includes high-speed collisions with perfectly placed angles, skipping over major chunks of the game. Still hungry for more? Each level has an item hidden somewhere. Should the player make contact with the item, they’ll be awarded a new marble skin. Aside from the visceral satisfaction of completing a goal, marble skins are the games one and only reward. Players can unlock new skins though completing levels, achieving enough gold/diamond scores, and by finding them on the stage. Since they’re awarded for just about every course of action, players of all ranges can still feel good knowing they’re unlocking cool skins. My final positive note is a more vague one. 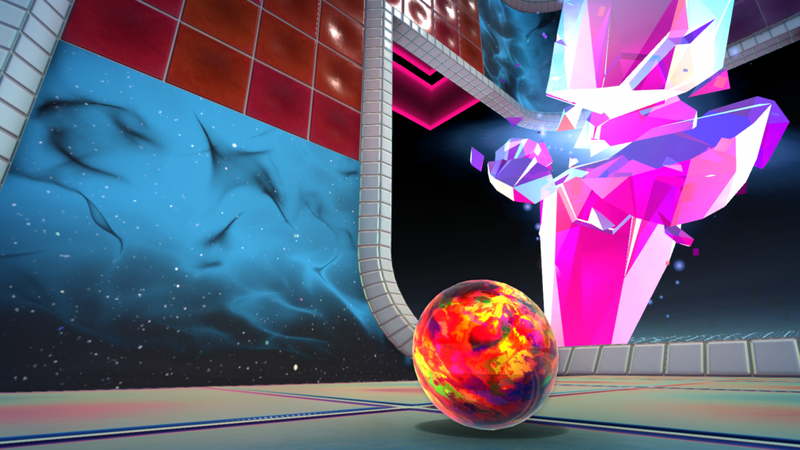 Marble It Up has a fantastic level of game polish. All throughout the game, there are small, seemingly unnecessary design choices that really add to the overall flavor. The first example of this, and my personal favorite, is how hills look. Most noticeable with curved surfaces, the color of the ground changes depending on what angle you view it at. Take the above image for example. See how part of the green road seems to fade into an orange-ish tone? All of that happens dynamically. If you were to approach the orange area, it would appear green while a different ramp looks orange. Despite often using contrasting colors, this feature is so fluid that I hadn’t even noticed it was happening until my second playthrough. Another example of polish is the leaderboard system. The game will display the best times for everyone on the console whenever you select or complete a level. You can then choose one of the records to either watch a replay of, or to race against a ghost of that record. The feature is even available for global high scores. It not only was fun seeing what a “good” player did to be the fastest in the world, but it also provided valuable insight as to how to get the Diamond times for a level. The music isn’t devoid of some good ol’ fashioned polish, either. You may notice that the rather bumpin’ playlist keeps its place no matter where you go. Changing levels, restarting the one you’re on, doesn’t matter. Even if you pause the game, the same song continues, but in a bass-y, muted tone. That extra bit of effort toward their soundtrack reinforces the fluid momentum of the game. Though, like with any review, it’s important to analyze what’s NOT great about the game. Though the few flaws or problems Marble It Up has are easily dwarfed or overlooked, they too need to be examined. The primary concern for the game is its lack of levels. Forty total levels may seem like a lot, statistically, but the first third of these levels are either tutorial focused or easy to complete. If you’re determined, you could beat the game in its entirety in a single sitting. This is a problem with a solution already, fortunately. 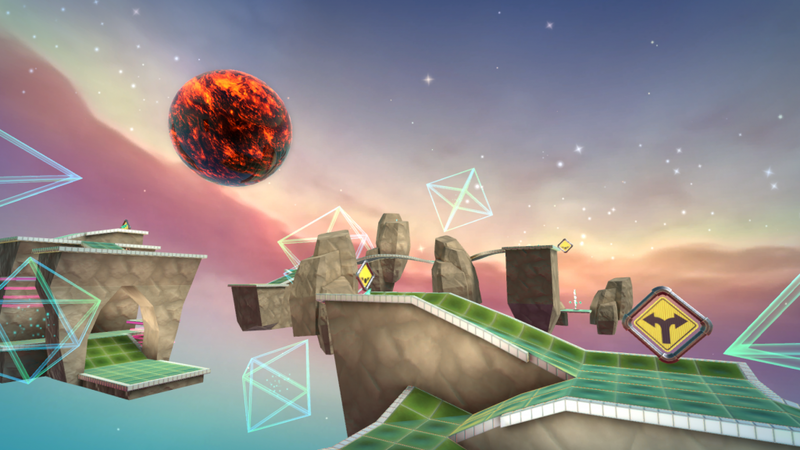 The Marble It Up team have already issued their first roadmap for the game, post-launch. One upcoming feature listed was community made levels. They have plans for a PC launch, and with it, a level editor. Players on PC can share levels with each other, while those on console will be given a collection developer curated levels. Nearly every aspect of the game cultivates a positive experience. Gameplay feels good, the art direction is a perfect fit, and there’s satisfaction around every corner. Once you start playing, you simply don’t want to stop. It has more momentum than a marble down a hill. If you have a Nintendo Switch, then I absolutely recommend this game. 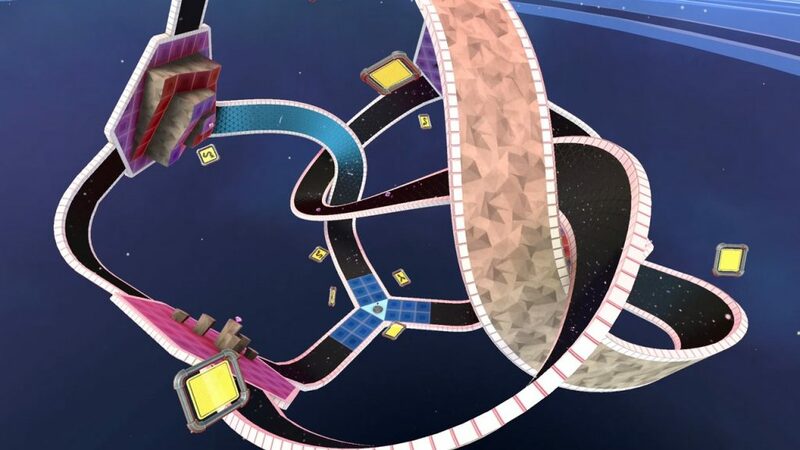 Marble It Up was developed and published by Marble It Up LLC, a collaborative effort between Bad Habit Productions, The Engine Company, Alvios, Arcturus Interactive, and Shapes And Lines. It’s available now on Nintendo Switch for $19.99, The game will be coming to PC, Xbox, and PlayStation in the future. For more information, visit the Marble It Up Website. A copy of this game was provided at no cost for the purpose of this review.